If you haven’t heard, Truvia sweetener is a zero calorie sweetener made from the stevia plant. 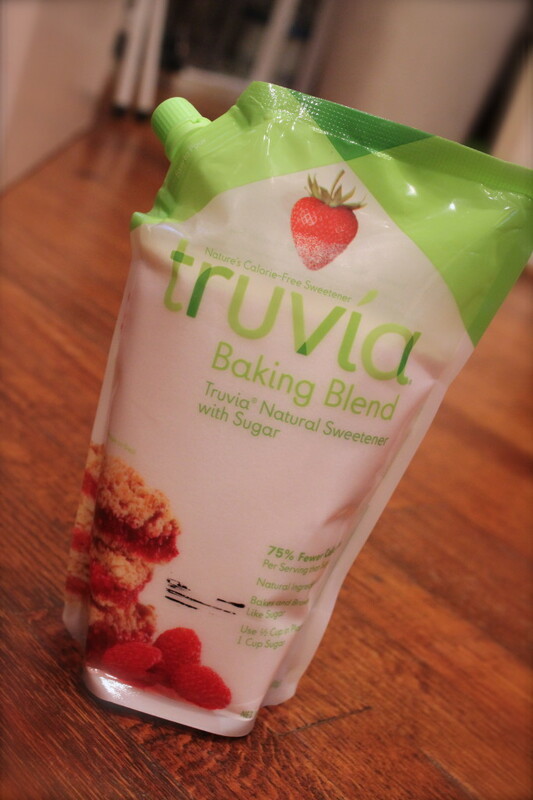 Their newest product, Truvia Baking Blend is a mix of Truvia sweetener and sugar, and is specifically used in baking and has 75% less calories per serving than sugar. Since many of my readers are from Dallas, Truvia reached out to me so that I could help them spread the word about their “Turning the Town Truvia” campaign that is coming to Dallas, TX this week! From now until May, you can nominate your favorite food establishment via Truvia’s Facebook Page for a chance to win $5,000! Because of your nomination, Truvia sweetener may end up on the tables of your favorite cafes and restaurants. Plus, beginning THIS WEEK, Society Bakery (on March 26 and April 23) and Tu-Lu’s Gluten Free Bakery (on March 27 and April 26) will be offering customers special reduced-calorie, reduced-sugar versions of their favorite desserts. As Dallasites, you’ll be able to buy guilt-reduced Chocolate Crostatas from Society Bakery or a gluten-free Lemon Pies from Tu-Lu’s, both of which are made from Truvia Baking Blend. 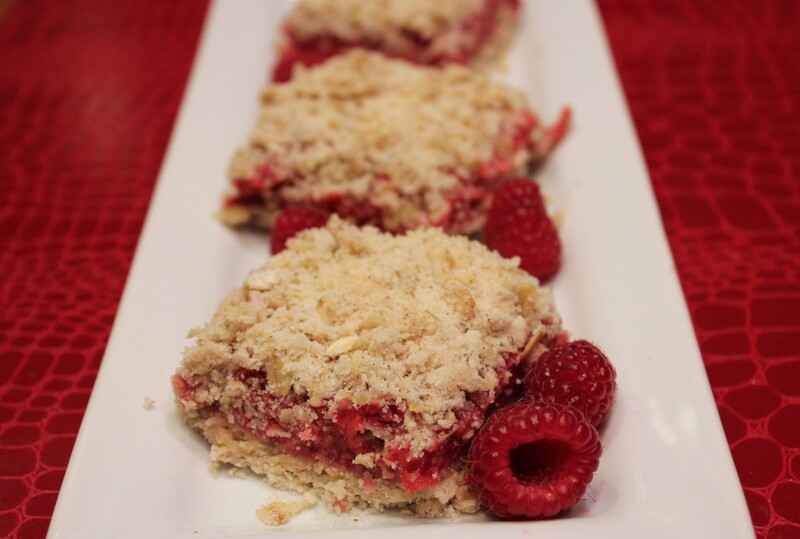 With that said, if you live too far from Dallas to check out these two bakeries or you just don’t have time, I’ve included the recipe for lightened-up raspberry oatmeal bars using Truvia Baking Blend. 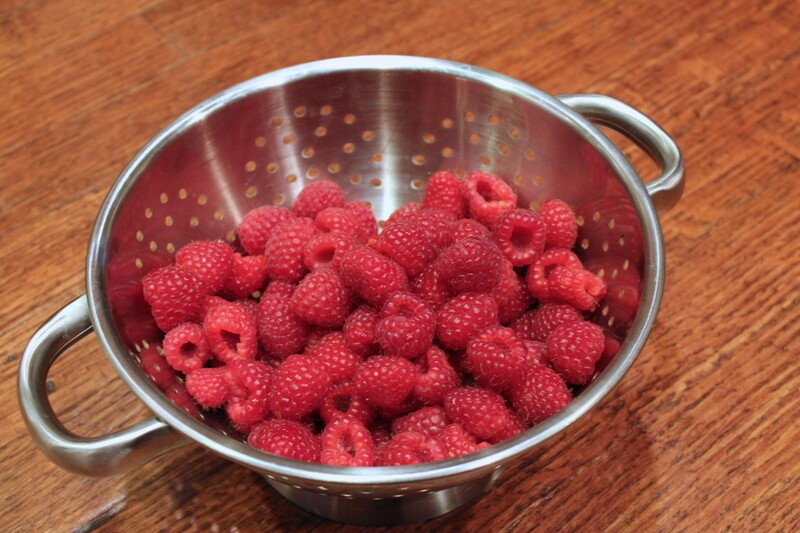 Measure out 4 cups of freshly washed raspberries. 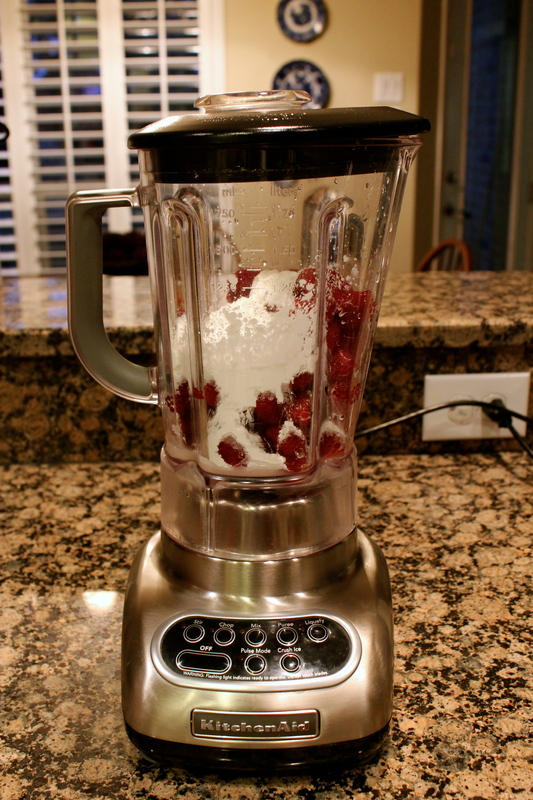 Put the berries in a blender with Truvia, corn starch and lemon juice. Blend until its uniform. (I wanted the berries all nice and pureed. 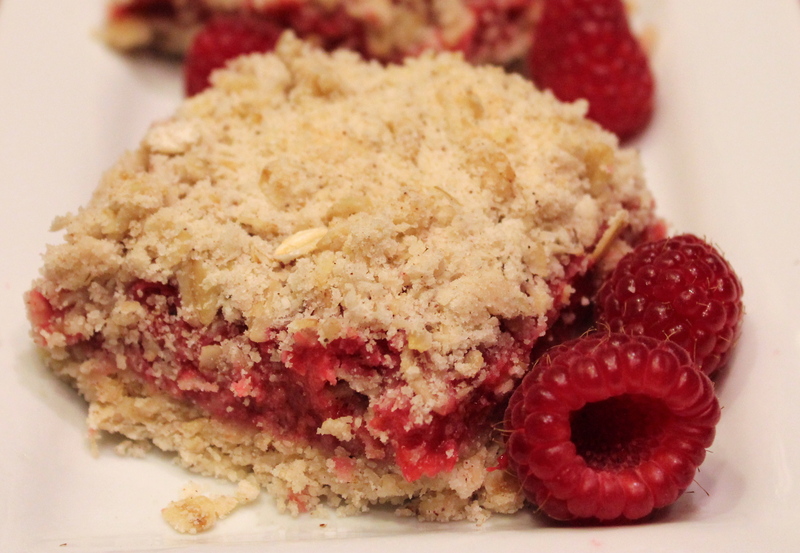 You could probably mix the berries by hand, which would yield a thicker filling with chunks of raspberries. Meanwhile, mix the oats, flour butter, cinnamon, Truvia, vanilla, and salt in a mixing bowl to form your crust and topping. 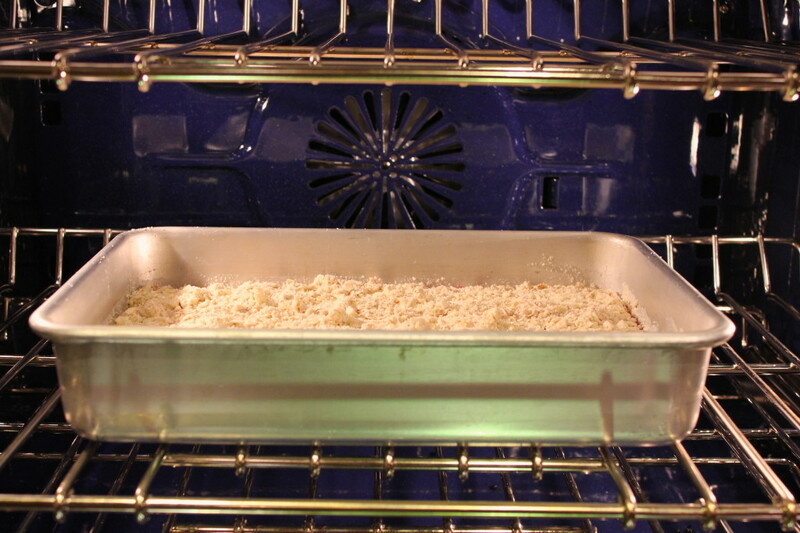 Place 2/3 of the crust in the bottom of a greased baking pan. Pour raspberry filling on top. Sprinkle remaining oatmeal mixture on top. Bake for 35-40 minutes in a 325 degree oven. Remove from oven and let cool. Cut into bars and enjoy for breakfast, dessert or as a spring-time snack. Did I mention these bars have 35% fewer calories and 80% less sugar than the full-sugar version? Not a bad way to enjoy your dessert! Place oats, flour, cinnamon, butter, salt, vanilla and Truvia Baking Blend in mixing bowl, mix at low speed for 1 minute. 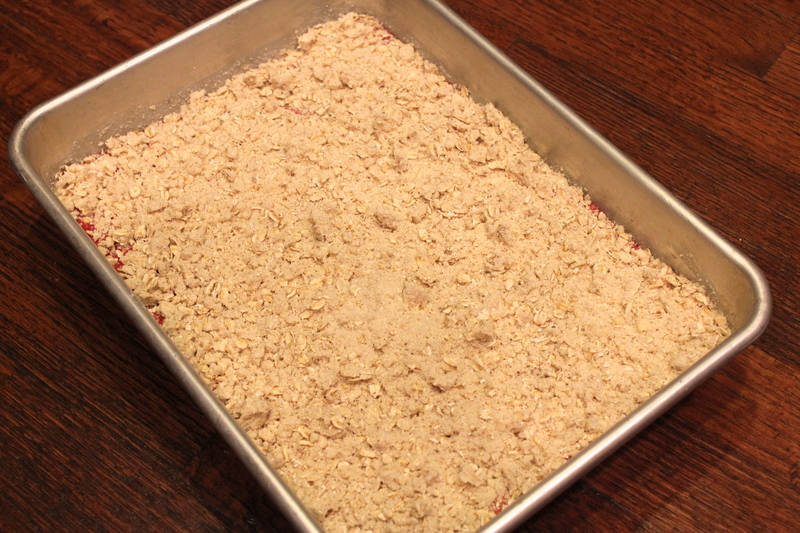 Portion ⅔ of oat mixture into greased 13"x9" baking pan; set aside remaining ⅓ of mixture for topping. 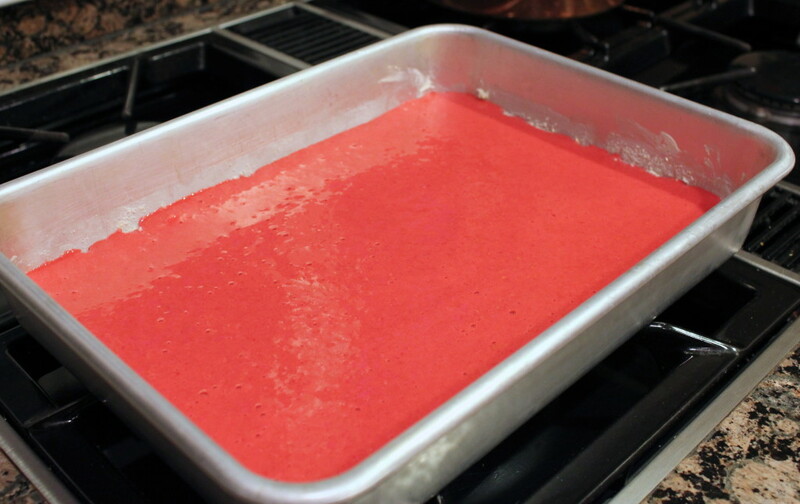 For filling: Blend raspberries, Truvia Baking Blend, lemon juice, and corn starch until uniform. Spread over pressed oat mixture. For a chance to win a bag of Truvia Baking Blend, please leave a comment below telling me what recipe (banana bread, chocolate chip cookies, pudding, etc.) you would make with Truvia. Want to increase your chances of winning? You can comment up to 4 separate times! GOOD LUCK!! The winner will be announced Monday, April 1, 2013. LIKE Dallas Duo Bakes on Facebook, and leave a separate comment saying that you did. FOLLOW Dallas Duo Bakes on Twitter, and leave a separate comment saying that you did. FOLLOW Dallas Duo Bakes on Pinterest, and leave a separate comment saying that you did. *This post and giveaway is sponsored by Truvia. All opinions are my own. 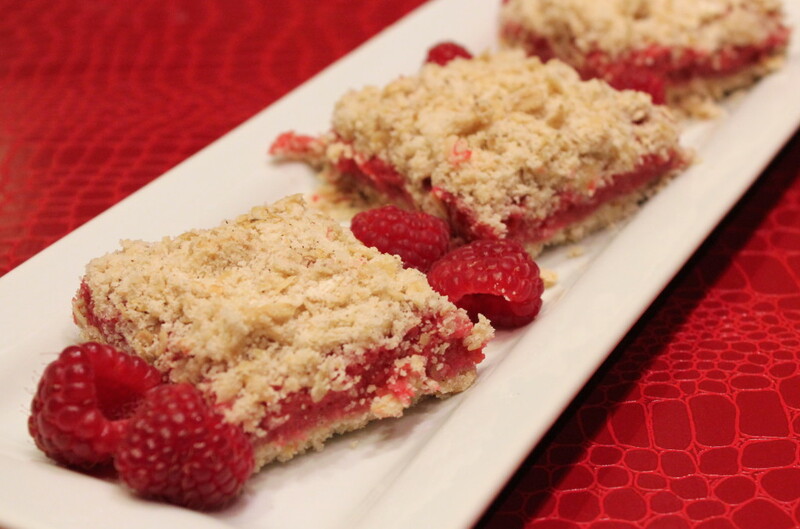 12 Responses to "Raspberry Oatmeal Bars and a GIVEAWAY"
I would try either: my grandma’s banana bread or the monster bars! yumm!! I would try your dream chocolate chip cookies with truvia! I’d make my mom’s buttermilk cinnamon bread with the Truivia. Sugar is sweet but the calories take their toll, and we all know that too much is not healthful, so let go and get Truvia Baking Blend and end your calorie intake and bake with what we know will make your life plentiful! I would loooovvveeee to win this!! I would make banana chocolate chip bread!! I plan on making coconut bread with Truvia on Friday. It’ll be our weekend treat. I would definitely try chocolate chip cookies! As a diabetic, I am always in need of different sugar substitutes. I am making Oatmeal Raisin Cookies. I would use it to bake my moms pumpkin bread!